You are currently on my SUMOBARS & STEERING ITEMS Page in the shop categories. 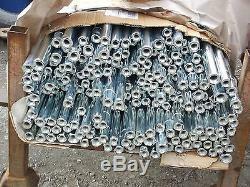 1 x Pair Heavy Duty Steering Bars (SUMOBARS) & 4 Heavy Duty Greas ea ble Track Rod Ends. 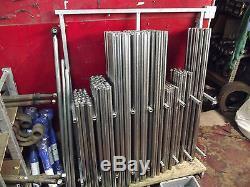 Gwyn Lewis 4x4 SUMOBARS, these are made in the UK not cheaper imports. These steering bars are our 30mm Solid Heavy Duty ones. (SUMO-HD----) they are 30mm solid EN8 steel bar, designed to be used by all, on and off road, they also include our Heavy Duty Greaseable track rod ends. Fits:- Late Discovery 1 & RRc that have 4 Track Rod Ends fitted. On Discovery & RRc you will need a Steering Damper relocation kit to fit the damper. Please make sure when ordering that you have. 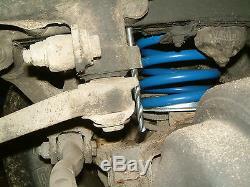 Fitted to your original steering bars as the picture shows, Early. Have 3 track rod ends fitted and require a different length front drag link bar, (SUMO 740), see other listing for early ones, or search Part No :- SUMO-HD-1135-740-3TRE. 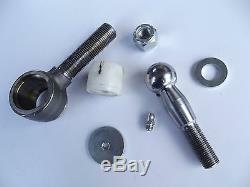 If you need a steering damper relocation kit, have a look at these. 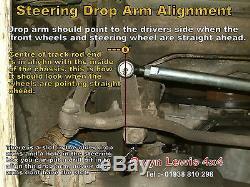 GL78GL80RHD If you want to fit a Defender style EYE/PIN steering damper. 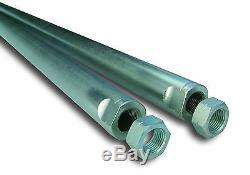 1 x SUMO-HD-1135 Heavy Duty track rod bar (rear bar). 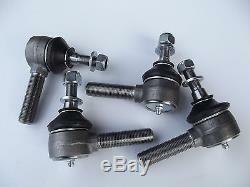 2 x Heavy Duty GREASABLE Track Rod Ends (R/H & L/H Thread). 1 x SUMO-HD-830 Heavy Duty drag link bar (front bar). Heavy Duty GREASABLE Track Rod Ends (R/H & L/H Thread). This kit will also fit a. Aslong as you use a. & a GL79RHD damper mount. Rough measurement of the Track Rod bar length before fitting is center of track rod end to center of track rod end is 123cm. Rough measurement of the Drag Link bar length before fitting is center of track rod end to center of track rod end is 92.5cm. 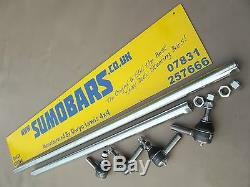 SUMOBARS are the original Heavy Duty Steering Bars and arguably still the best , they are used all around the world from on road, off road, comp safari to extreme off road. We now manufacture 4 types of steering bars. SUMO-HD---- These are made from 30mm solid EN8 engineering grade CARBON STEEL BAR , designed to be used by all, on & off road. SUMO-HDH---- These made from 29mm hollow 7mm wall CDS engineering grade CARBON STEEL TUBE , designed to be used by ALRC competitors who must comply with hollow steering bar regulations & those wanting a strong steering bar without having that extra weight of a solid bar. SUMO-EXT---- These are made from. 32mm solid EN8 engineering grade CARBON STEEL BAR , designed to be used by off road competitors, these are very heavy duty. SUMO-SS---- These are made from 30mm solid 303 STAINLESS STEEL BAR , these bars are very strong, the stainless offers a much greater strength as it is 1.5 times stronger than steel, these bars can be used from on road to extreme off road use, they are also supplied with stainless steel locking nuts. All the sumobars are supplied with locking nuts. Are full nuts (not like the cheaper copies which come with half nuts), this is for strength and security with less chance of rounding the nut whilst tightening them, both ends of the sumobars have machined flats for ease of tightening the lock nuts to the bar and the. 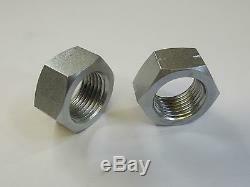 Is easily identified with a grove machined around the bar and the lock nut. Please remember all SUMOBARS are made from engineering grade steel, not to be confused with cheaper copy bars made from a low grade of mild steel. All threads on the bars are double checked and are greased with. 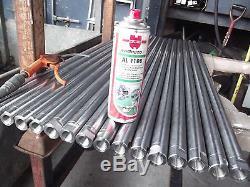 Corrosion-protecting aluminium-copper paste, this will stop the track rod ends seizing in the bars at a later date. 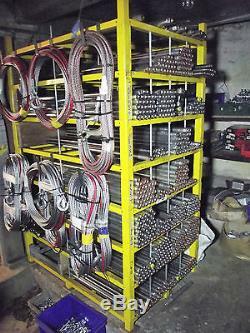 We can also supply the SUMOBARS separately, please contact me on the contact details above so we understand what you need. A Drag Link Bar is the bar from the steering box to the opposite wheel, (short bar in front of the front axle). A Track Rod Bar joins the 2 wheels together, (long bar behind the front axle). Drag Link (Front steering bar). Requires one Right Hand Track Rod End. Track Rod (Rear steering bar). Requires one Right Hand and one Left Hand Track Rod End. Drag Link up to 1993 (Front steering bar). Drag Link from 1994 (Front steering bar). 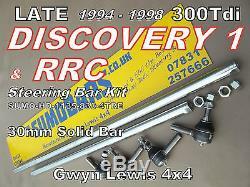 Note Sumobars for Discovery 2 use the same Track Rod Ends as Defender/Disco1/RRC. Note Sumobars for Series use the same Track Rod Ends as Defender/Disco1/RRC. Carriage Price for UK mainland only. For the carrier when ordering them, it may. The item "Discovery 1 300 tdi 30mm Steering Arms Bar Rod Heavy Duty Range Rover Classic" is in sale since Monday, February 13, 2017. This item is in the category "Vehicle Parts & Accessories\Car Parts\Suspension & Steering\Other Suspension & Steering".4x4" and is located in welshpool, Powys. This item can be shipped worldwide.